By now readers, you know I have a thing for old cemeteries. On our recent weekend trip we hit a couple of very interesting ones. 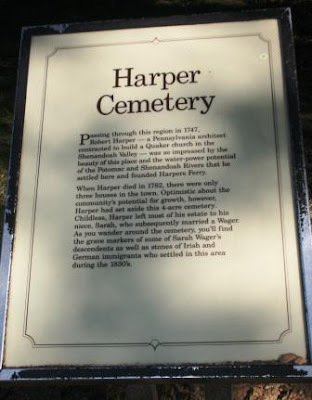 The first was the Harper Cemetary in Harpers Ferry, WV. The graves in this cemetery seemed kind of haphazard and disorganized, which I thought made them even more interesting. Paul and I were curious about the meaning of the cross with the crown around it. We saw this on several of the graves. 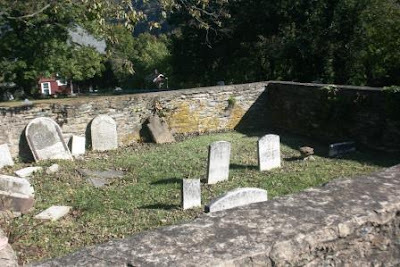 What do you think of old cemeteries, reader? Do you wander around and imagine what life was like for the people buried there too? It's Rural Thursday! Time to link up your rural life posts with Nancy from A Rural Journal and myself. Just grab the code beneath the button and paste it into your blog post. Then come back and add your link to the linky. Make sure you visit the blogs of at least 5 other participants and leave a comment for them! There's a new farm blog hop on Fridays starting tomorrow at Farm Life At Its Best if you want to check it out! Yes!!! We often stop at old cemeteries to stroll around and take photos. They're fascinating! But then I grew up here in the south and it's a big deal to visit and take pictures of where our ancestors are laid to rest. Weird, huh? There is an old cemetery on our walking loop. It is really interesting to look at all the names and dates, but also very sad. This particular cemetery has a lot of little kids buried there. But, it is still interesting to look at how old everything is, and that it has been there for so long. I love to visit old cemeteries but sometimes feel like I am intruding. I love the questions you asked about the graves, but now I want the answers to them. oh i love old cemeteries and i'm sitting here wondering how the heck i missed this when we were at harpers ferry! I love the photos you have shared. I like to walk through old cemeteries, too. Old cemeteries scare me but I do love your photos! That is a cool old cemetery. Have a great weekend! I find old cemeteries fascinating. Did you ever find out what the cross with the crown means? I love the your thoughts on the husband still leaning on his wife. Super observation of a love of long ago. I love old cemeteries. One of my favorites was in Key West, FL. One tombstone read 'I told you I was sick' - LOL! 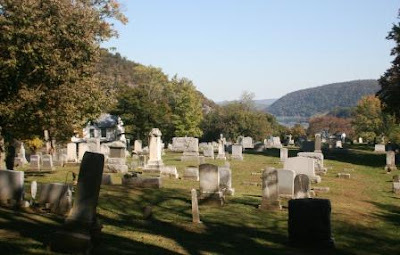 I love the old cemeteries too.. this one is beautiful.. and oh, what a view!.. I googled the crown symbol and got this.. " the crown in a cemetery represents the soul's achievement and the Glory of life after death." I like what you said about the leaning husband. :) I also appreciate the very random placement of the stones. Interesting! There's just something about old cemeteries that attract me, too. I have to tell you something. As soon as your blog opened up, I remembered a dream I had last night about bears standing in the middle of the road and I was walking....came upon them before I knew it and the Momma bear headed toward me. The last thing I remember was looking down at her black body and I woke up...probably a good thing, huh?!? ;-) Didn't me an to write a novel...sorry!!! HOPE your weekend is blessed!!! I loved that you showed this...it reminds me of our trip to Boston and the old cementary there. Makes you stop and pause doesn't it? nope. haven't wandered into a cemetery (except for a burial) since my mother would go visit her parents' graves. Lovely photos. 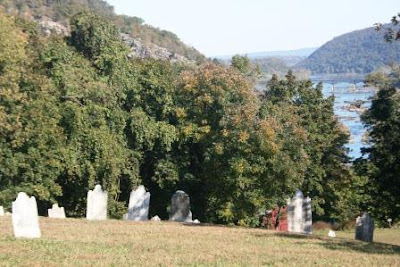 The cemetery is set in a beautiful location. From what I've read, one meaning of the cross with the crown is symbolizing the reward of heaven (receiving the crown received), but there are more meanings. I love going to old cemeteries to. When I lived in Savannah, GA there were many really old ones! They had ones where you have to walk down stairs to see the grave, but they were blocked off. Spanish moss hung from the trees and there were old churches, which made it all the more creepy and interesting. They even had ghost tours that walked about. The section that always gets me is the kid/baby section. i know many people do but i don't enjoy cemeteries. i feel a tremendous saddness, i alway feel like i am walking on someone or walking where I shouldn't be!! I love old cemetaries, too... the stones outside may have been suicides... it's funny but we were just talking here at home last night about visiting Harper's Ferry next spring, so I'll put this cemetary on our list! have you visited Hollywood Cemetery in Richmond? It's lovely, full of history and beauty. It's where Dave is buried and where I'll go eventually. This is a beautiful old cemetery. I find old cemeteries fascinating - so full of history. In researching genealogy, standing at the grave of an ancestor makes his/her story more personal. Beautiful photos, I like that cemetery, wonderful catch. Greetings. There is an old cemetery on our farm that needs to be documented but I can't seem to get anyone interested. It dates from 200 years ago and many stones have no writing that I can see. The oldest that I researched was an early preacher who lived in the log part of our house, kind of neat that they just buried people where they lived then. I do like old cemeteries as well. Very interesting piece of history. 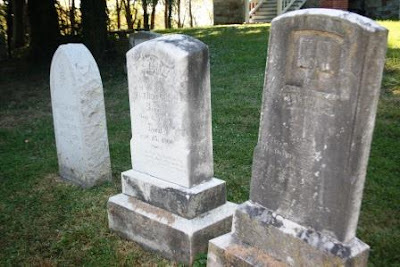 I love the husband and wife tombstones you captured. Harper's Ferry has to be one of the prettiest places in all of WV and I am pretty taken with all of WV anyhow! It's such a cool place and so full of history! In my family's culture cemeteries are seen as a place of remembrance and celebration of sorts. You celebrate the life the person lived. I am always fascinated when I visit a cemetery about the lives that people lived. Your a woman after my own heart. I didn't know/remember this about you. I love old cemeteries too! 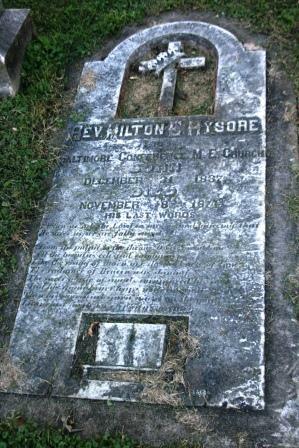 I really enjoy exploring old cemeteries too and I always wonder what their lives were like. I love Harper's Ferry! It's been way too long since I've been there. We were planning on going this past summer but didn't do it. I have seen that cemetery but I don't think we walked around in it. I can't believe that they aren't taking better care of it than they are. 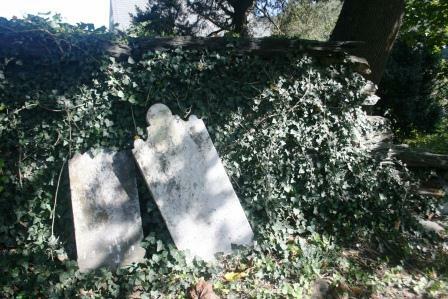 I love the real old headstones. 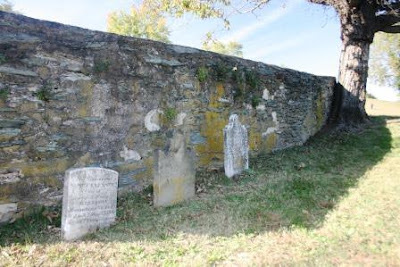 I'm going to guess that the graves that are in that stone fence are a family plot. Just a little word of caution when walking around those old graves. I've seen on the local news 2 different times this year where a headstone fell on children. Be very careful with the boys. I'm sure you are but I'd hate for anything to happen to those little guys! As an amateur genealogist, I absolutely love old cemeteries. They are such a wealth of information. I love going to visit older cemeteries. We have one right neaar our house that is really small but ollllldddd. There's a lot of peace in those places--I always enjoy a quiet stroll through a cemetery. When we lived in town I used to push the stroller through one all the time. I love Harper's Ferry. We were just there a week ago and visited the cemetery, walked from there (on the AT) to Jefferson Rock. Great place. I love old cemeteries, and love photographing them. Last April, for my birthday I visited one near us that was overflowing in bluebonnets and other wildflowers and had such a wonderful time clicking away. My husband and son even enjoyed wandering around while I clicked. I know it must be weird but it seems there are a lot of us! That is so cool! I love old cemetaries! My kids would love something like that!